“Indeed, [the route] with an inclination [of 51 degrees to the equator during launches from Vostochny spaceport] can be used for flight to the ISS”, the spokesperson said. However, the spokesperson noted that at present this “route is open only for automatic space vehicles [designed for launches] by Soyuz-2.1a or 1b carrier rockets”. Earlier in the day, a document of AlfaStrakhovanie insurance company obtained by Sputnik revealed that a route was opened at Vostochny cosmodrome for launching of manned and cargo spacecraft into orbit with an inclination of 51 degrees to the equator, which is used by the ISS. Until now, rocket carriers heading to the ISS have been launched only from the Baikonur space center. It is now necessary to upgrade the technical and launch facilities of the spaceport in order to launch spacecraft from the Vostochny Cosmodrome to the ISS. The Vostochny Сosmodrome has been under construction since 2012. The cosmodrome is one of the most expensive spaceports in the world with an estimated price of $7.5 billion. 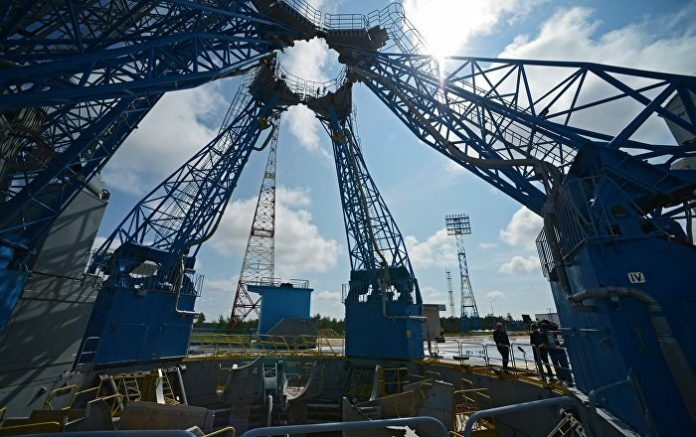 A total of four launches have been carried out from the cosmodrome since it was put into operation. The next launch from Vostochny Cosmodrome is reportedly scheduled for this summer. A Russian space industry source has told Sputnik that the carrier rocket would deliver hydrometeorological satellite Meteor-M No.2-2. into the orbit. In August 2018, it was reported that the launch of Russian Meteor-M No.2-2 satellite would take place in either the end of the first quarter or at the beginning of the second quarter of 2019. Initially, it was scheduled for late 2018, but was postponed due to a delay in manufacturing and testing of the spacecraft.